Place the raspberries, lime rind, honey, coconut cream and milk in a blender and blend until smooth. Pour into 2 large zip-lock bags, pressing out as much air as possible, and seal. Lay the bags flat on a baking tray and freeze for 2 hours or until just frozen. Remove from the freezer and, using your hands, bend the bags to break up the mixture into small pieces. Place the mixture in a food processor, in batches, and process until smooth, scraping down the sides of the processor. 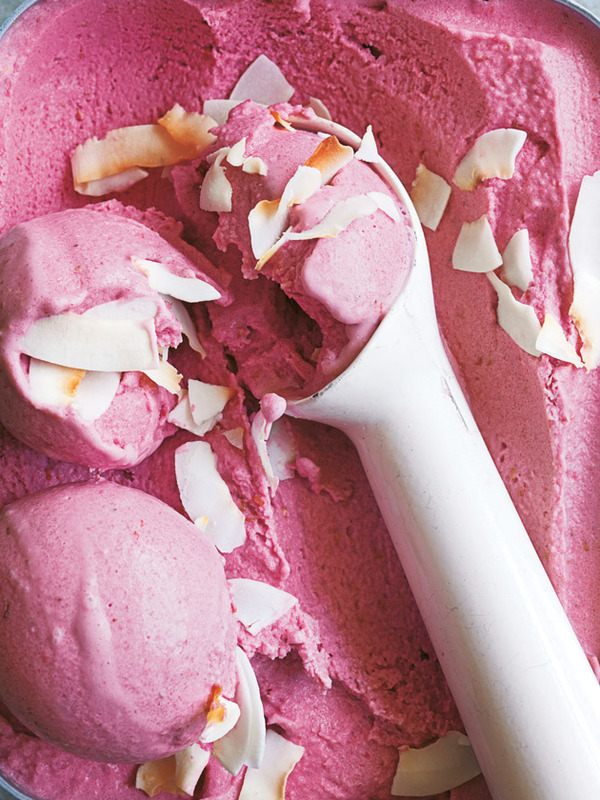 Spoon the ice-cream into a 2-litre-capacity tin and freeze for 3 hours or until just frozen. Sprinkle with coconut flakes to serve. Serves 6–8.